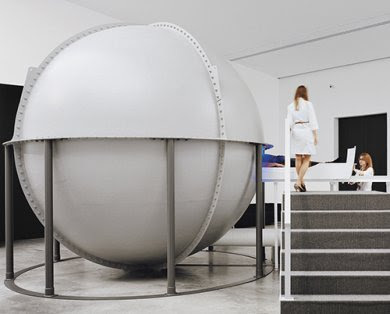 James Turrell's freestanding Perceptual Cells invite the viewer to step inside (one at a time), lie down on a bed in a chamber that is then slid into the cell which envelopes you in light. An exploration in the "visual texture" of his native Southern California that has influenced his work. For more information check out lacma.org.